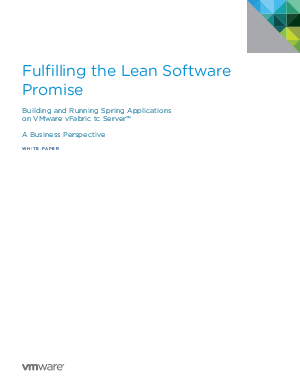 Lean software platforms are now widely adopted and their considerable benefits have been demonstrated beyond question. Lean development and deployment should figure prominently in every organization's IT strategy. The growing pervasiveness of virtual and cloud environments makes the need even more urgent. Learn why your peers are replacing JEE containers with lightweight application servers - and what you can gain from the move.